Mozilla has named Andreas Gal its new Chief Technology Officer, the company said in a blog post. Gal will replace Brendan Eich who transitioned from the CTO role to become Mozilla's new CEO, only to step down after 11 days. "Mozilla's goal is to accelerate the advance of mobile by tirelessly pushing the boundaries of what's possible with the Web," Gal said in a personal blog post after the appointment was made. 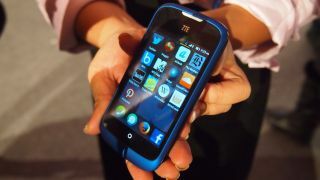 Check out the Firefox OS phones.